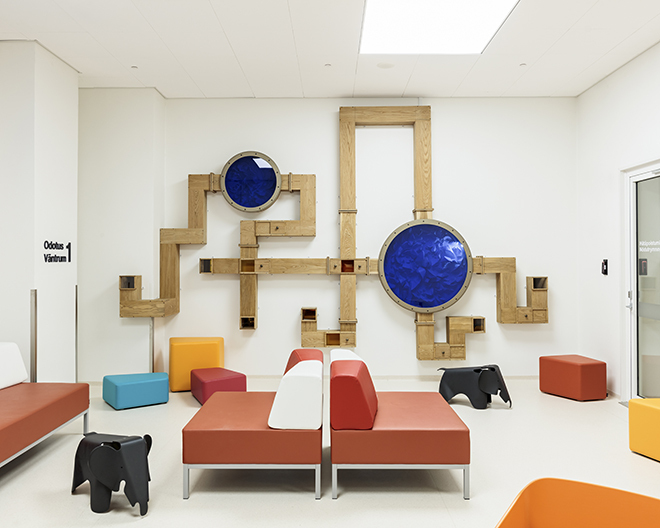 The selector of this year’s Finladia Prize for Architecture laureate, forensic orthodontist Helena Ranta chose the New Children’s Hospital as winner for its innovative design. 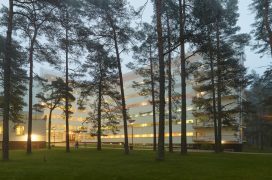 The hospital designed by Sarc Architects and Architect Group Reino Koivula opened on September 17th, 2018. Ranta doesn’t see the Finlandia prize as a “may the best win” setting. 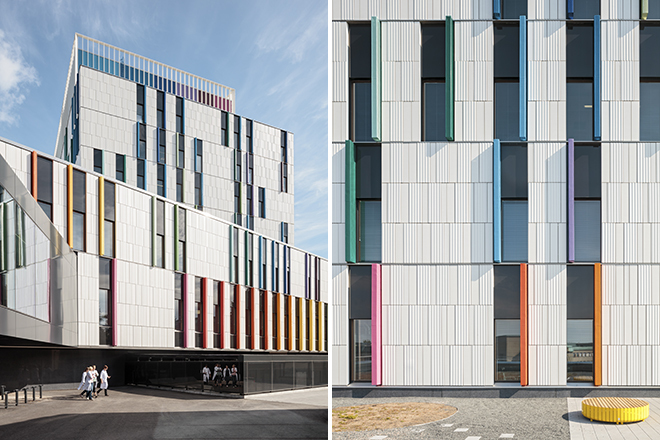 For her, all of the five shortlisted candidates would have merited the prize, but the fact that the New Children’s Hospital was so empathetically designed with the comfort of the young patients and their families in focus made it weigh heaviest in her scale. The team responsible of the architectural design was chief architect Antti-Matti Siikala and architects Sarlotta Narjus and Sakari Forsman from Sarc Architects and architect Susanna Kalkkinen from Architect Group Reino Koivula. 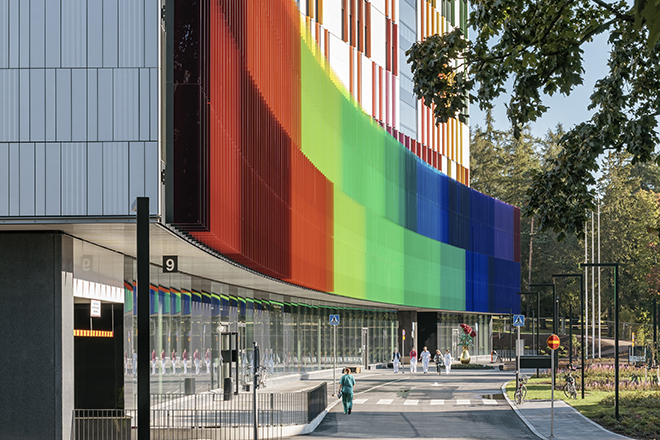 In addition to the New Children’s Hospital, the shortlist for the fifth Finlandia Prize for Architecture consisted of Amos Rex Art Museum, Lallukka Artists’ Home, Helsinki University Think Corner and Tuupala Timber School in Kuhmo. 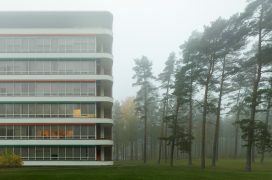 The annual Finlandia Prize for Architecture is awarded for a building, a group of buildings or a renovation completed during the last three years. 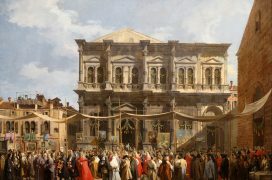 Each year an influential person whose merits are from other fields but architecture is invited to select the winner from the pre-selected shortlist. This year’s pre-selection jury consisted of Professor Hannu Huttunen from Aalto University housing design and partner of ARK-house Architects, architect Janne Teräsvirta, Dr.Tech. Anne Stenros and architect Juulia Mikkola. Secretary General of the Finnish Association of Architects Paula Huotelin acted as jury secretary. The purpose of the Finlandia Prize for Architecture is to increase the value of creative, high-class architecture and to highlight its significance for culture and well-being. Explore all the Finlandia Prize for Architecture finalists from the past five years in the Finnish Architecture Navigator.